This exhibition includes photos taken from the set of some famous Romanian films of recent years (2004-2014) such as: Aferim! and Everybody in our Family by Radu Jude, Love Sick by Tudor Giurgiu, Boogie by Radu Muntean, If I Want to Whistle, I Whistle and Box by Florin Șerban and Loverboy by Cătălin Mitulescu. The Opening Gala event of the 'Revolution in Realism. 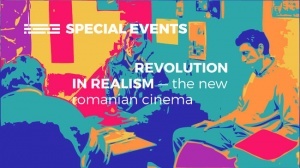 The New Romanian Cinema' season. One of last year’s best films, this remarkably vivid recreation of the past confirmed Radu Jude’s place in the vanguard of Romanian cinema, and brought him the Silver Bear for Best Director at Berlin International Film Festival. 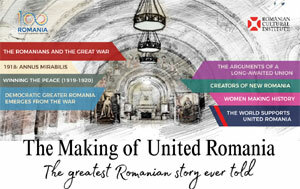 The evening will conclude with a reception offered by the Embassy of Romania. Music by DJ Nico de Transilvania. In this illustrated talk, Geoff Andrew, Senior Film Programmer and curator of this season, will discuss why he considers Romanian filmmaking of the last decade so rewarding and exciting. Using clips both from our general survey and the accompanying Cristi Puiu retrospective, he’ll cast a critic’s eye on the development of a distinctive but pleasingly varied approach to notions of ‘realist’ storytelling. Unfortunately, due to changes in his schedule it’s with great regret that Cristi Puiu is unable to travel to London for this career interview. Ticket-holders should contact the BFI box office, by phone or in person, for a refund. We apologize for any disappointment. One of the most cinematically adventurous filmmakers to have emerged this century, Cristi Puiu is rightly regarded as a major figure in both Romanian and international cinema, expert at turning material of philosophical, sociopolitical and ethical import into suspenseful, witty or emotionally affecting drama. We deepen our exploration of Cristi Puiu’s visual imagination with a special event dedicated to his first and yet unextinguished passion: painting. The exhibition presents the acclaimed director’s most notable works, made in Romania and during his first year as an art student at the Ecole Superieure d’Arts Visuels in Geneva before his momentous switch from static to moving pictures. The talk will be followed by a party. Details here.